The New conﬁguration dialog box opens (b). Note: Only th e characters a to z, A to Z, 1 to 9 and (, ), _, -, @ or allowed in a name. 3. Check the radio button of your choice (d). on which the new conﬁguration must be based on (e). 5. 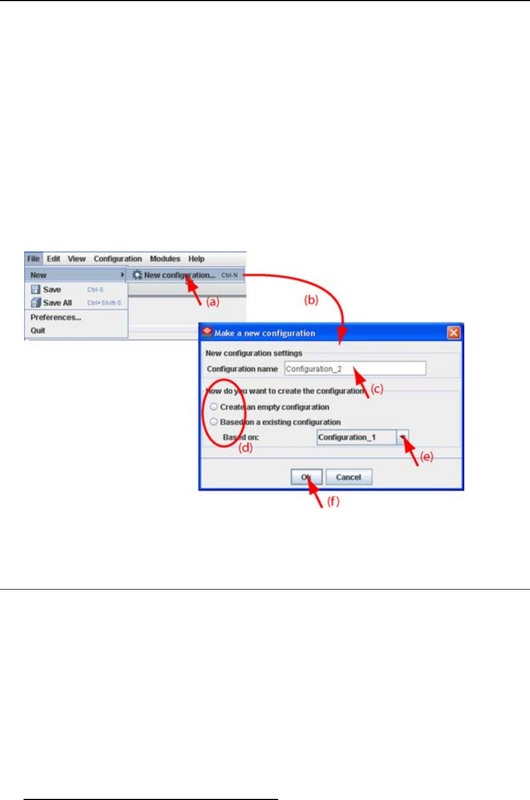 Click OK to create the new conﬁguration (f).